and I am not saying it was a positive one! You do not expect a Mother to watch her child throw balls at babies? You do not expect her to watch her child flamboyantly throw her self all over babies? And you most certainly do not expect her to sit and watch her child, bite a baby in the face, before she decides she should intervene! This is exactly what was happening today when I visited with Leo, and my friend with her 8 month old Son Zach. Unfortunately it was Zach on the receiving end of the biting brat! The Mum literally just sat there watching her Daughter do all of this, she was telling us to move her Daughter away if we felt the need to. While her precious Daughter got up into Leo's and Zach's faces and throwing herself all over them, in between snatching ball's out of their hands and then throwing them at them. Surely the Mother should be the one taking control of her child? Personally I do not feel it is our place to do this, of course I was moving Leo out of harms way and trying to keep some distance between them, while trying to keep my cool. At the end of the day though her Daughter is not our responsibility, and if she was I would have taken her right out at the first sign of violence. We voiced our disgust at how the situation was handled, or not handled as it were. The troublesome Mother and Daughter made a swift exit after the biting incident. Probably out of shear embarrassment, that I know I would feel if it was my child. I am not a over protective parent, but even I have my limit. I was absolutly disgusted with what happend. This was Zach's first time to soft play and he was terrefied of all the flying balls that were coming toward him, and then he get's bitten. This all took place in what should be a baby's area, it is a small area for baby's and toddlers to roam, and has a small ball pool. The area is actually for 'Under 5's' which personally leaves a awful lot to be desired. Surely there should be a place that is off limits to say..Under 3's? Somewhere they can play without the worry of bigger children coming in and trampaling all over them. Under 5's is a huge age gap, and I would have thought from the age of about 3 they would be more than ready to roam a bigger area. For some reason all the children seem to swarm to this one 'Under 5's' area to play, even though there is another ball pool (completely empty!) that they could play in. When I went the first time, I was told that we could only play in this one little area, which I have adhered to. It seems that even though certain children are obviously to big to play in this smaller area, they do anyway and their parent's just let them get on with it! I feel that the Wacky Warehouse company should lower the age restriction on this one area so that babies can play happily and safely. 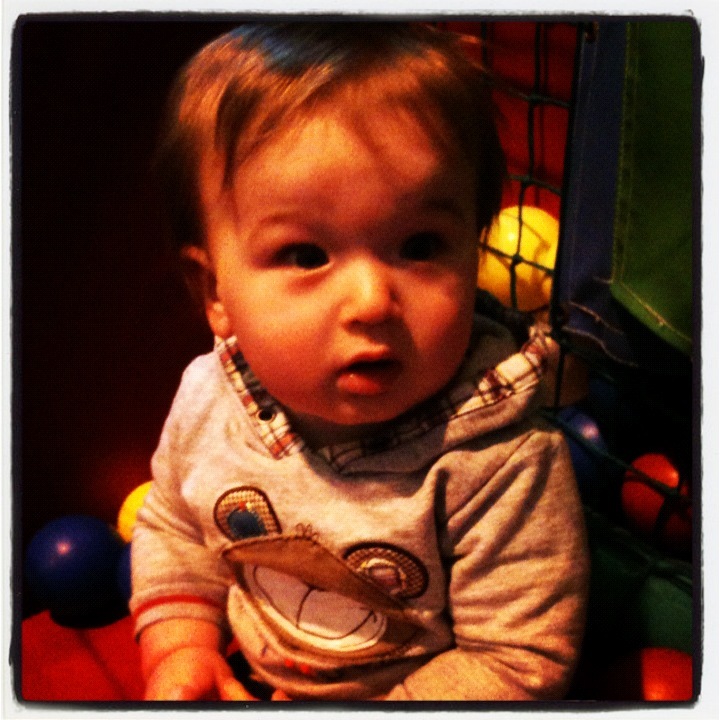 Ooh I am totally with you, soft play centres make me mad and there isn't many I have returned to in our area! Most don't enforce the she restrictions so older kids are running round around babies and knocking them all over the place. I have also witnessed biting when kids have been left to their own devices. Mums seem to think it is a place to go and let their kids do what they want whilst they have a chat! Grr! Rant! I agree 100%, It is like the parent's think that once they are there, it does not matter what they do. They sit there with a coffee and leave them to run ferral! Crazy! I take Leo there to play games with him, that is the fun of it. When he is old enough to play on the structure, I will be the biggest kid there! I think, sadly, there are good soft play centres and bad ones. We once went to a wacky warehouse and some little boy had my daughter (2) in a headlock- for the dad to apologise whilst saying 'he likes to play rough'- well, do something about it! Better soft play centres do have baby areas, under 3, under 5 and older- children don't necessarily keep to areas but it's a little easier to throw the dirty looks when they are so clearly seperated. Unfortunately, the better ones to seem to come with a higher price tag, and now with three we can't afford them. Saying that, the soft play at our local leisure centre is fab and always well supervised (and a bargain at £1 per child!). Oh my gosh! I think it is mad that they think it is ok to inflict their 'rough play' on others. It is just completely un-called for and very in-considerate! Bless her. It is very frustrating, and I just wish they would find it in them to control their little rat bags! we had a very similar expereince in a wackey wearhouse near us, a lady had brought 6 children with her, and sat there drinking tea while these children age between 3-6 i would say ran around like headless chickens being just out of control. 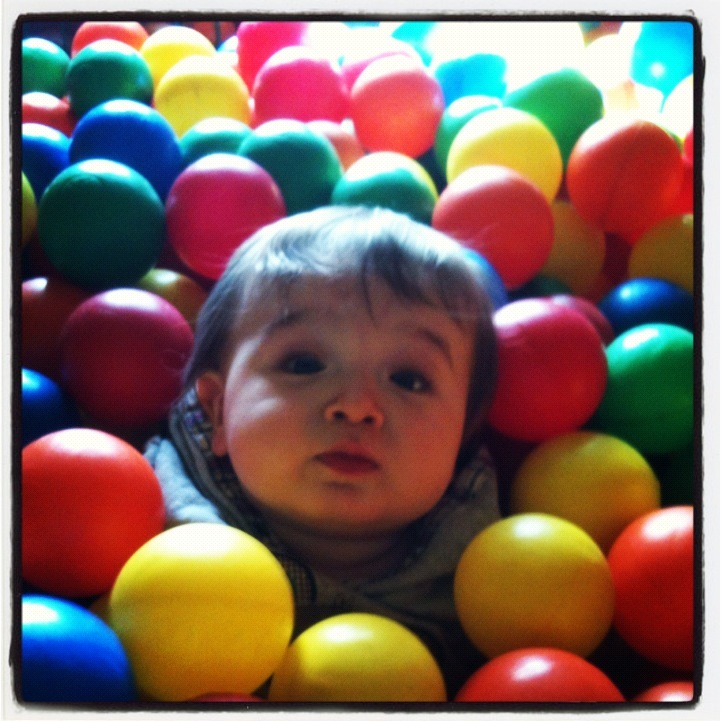 my friend who was with me had her 8 month old sitting in the under 5s ball pit when she was swamed with older children, one of which threw a ball directly into her sons face and laughed about it. at this point we left, as the lady sat there sipping her tea. i think she must of been a child minder who had clearly brought the kids out so she didnt have to watch them, i totally agree it should be under 3s. makes you mad when you do your best for your child yet others let there kids do what they like. Some people shouldn't be allowed to have children!